Obituary – Cinnamon, Norma Jean (Groom) « Perry High School Alumni Association, Inc.
Glee Club 54-55, Sophomore Assembly 54-55, Annual Staff 54-47, Red Hots 54-57, Red Hot Treasurer 56-57, Office Staff 56-57, Annual Play 54-55. Norma Jean (Groom) Cinnamon departed her earthly life on Sunday, March 8, 2015, at her home, near El Reno, Oklahoma. Norma was born January 8, 1939, on a farm near Perry, Oklahoma. She was the third of seven children born to Glenwood Groom and Edna (Ewy) Groom. 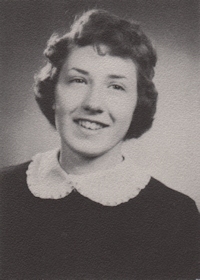 Norma attended all 12 grades of school in Perry, and graduated in 1957. 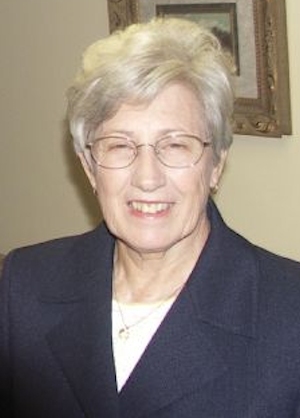 She attended Oklahoma A&M for two years, and then entered the field of medicine, where she was employed for over 40 years at Orthopedic Associates. Following her retirement in 2001, she enjoyed many hobbies, especially china painting, beading, and serving in many capacities in the Oklahoma Mineral and Gem Society. She is survived by her husband of 46 years, Paul Wayne Cinnamon; daughter, Rebecca Jo (Kime) Moews of Oklahoma City; son Craig Wesley Kime and his wife Cheryl Frances of Noble County, Oklahoma; son Ralph Wayne Cinnamon and his wife Anita Marae Cinnamon, of Oklahoma City; granddaughters, Kristopher Lynn Hempel and her husband, Bryan Michael of Oklahoma City, Jamie Marae Marchant and her husband, Josh of Yukon, Oklahoma; grandsons, Jason Paul Bootenhoff and his wife Jessica of Tulsa, Oklahoma, Brandon Dean Moews, of Oklahoma City, Taylor Liberty Kime of Perry, Oklahoma, and Anthony Scott Clement of Perry, Oklahoma; great-granddaughters, Londyn Marae Marchant, Rowan Ember Kime, and Mackenzy Amariah Hempel; and great-grandsons, Avery Wayne Hempel and Clayton James Clement of California . She was preceded in death by her parents and one granddaughter, Bailey Nicole Kime. Norma will be missed very much by her family, her brothers, sisters, and a host of friends. Farewell Our Beloved, we shall soon meet again beyond the sunset. Visitation will be Tuesday, March 10, 2015 from 8am to 8pm with the family greeting friend and family from 6pm to 8pm. Funeral services will be 2pm, Wednesday, March 11, 2015 at The First Baptist Church in Perry with Reverend Jeff Liles officiating. Interment will follow at Memorial Park Cemetery, 6405 Memorial Drive in Enid, Oklahoma. Memorials may be made to The Children’s Hospital-OU Medical in Oklahoma City or to a memorial of the sender’s choice in care of Brown-Dugger Funeral Home, 1010 N. 7th, Perry, Oklahoma 73077. Arrangements are under the care of Brown-Dugger Funeral Home in Perry.